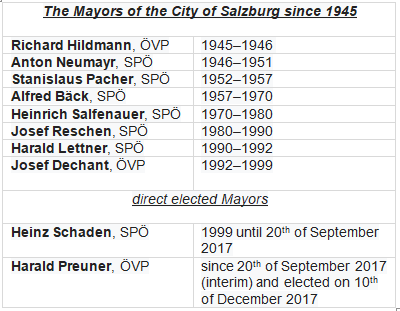 On 26th of November 2017, the first round of the mayoral election took place in the City of Salzburg. Exactly 1,545 votes separated the two candidates in the first ballot. Harald Preuner (ÖVP) received 35.01 percent of the votes; Bernhard Auinger (SPÖ) came to 31.88 percent. A close result that led to a run-off between these two candidates. Eligible voters in the ballot on 10th of December 2017 were, as in the first ballot, 113,258 people. The turnout with 41.4 percent was even lower than in the first round (43.8 percent). After counting the 8,066 voting cards, the city of Salzburg recorded its barest result of a mayoral election. 23,306 votes went to Preuner and 23,012 votes Auinger could win over. Thus, Preuner has just won the mayoral election with 50.3 to 49.7 percent. 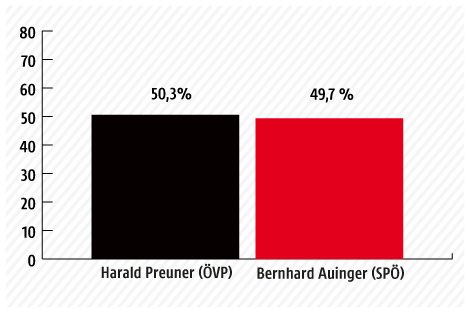 At the end, the ÖVP lead candidate was with 294 votes (0.6 percent) ahead of SPÖ candidate Auinger. Therefore, the long-time vice-councillor Preuner(see photo) is the second elected ÖVP mayor since 1945; the office was otherwise always occupied by SPÖ candidates. His mayoral office is initially 15 months, because in the spring of 2019, the next mayor and municipal elections is pending. The City of Salzburg is the capital of the County of Salzburg and has 154,977 inhabitants. 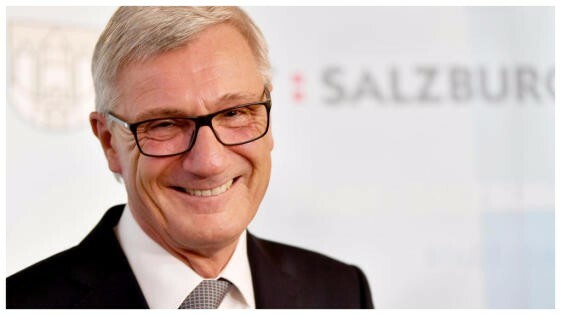 The new election had become necessary due to the resignation of SPÖ mayor Heinz Schaden because of his conviction in the financial scandal (judgment not yet final).